Creature Comforts, one of the fastest-growing and most hyped craft beer breweries in the Southeast, is expanding into a second location in Athens, Ga., to accommodate their significant growth. After opening in April of 2014, they have since increased their production to 28,000 barrels a year. The second location is a 36,000-square-foot historic building in downtown Athens that will allow for a fully automated dual 85-barrel four-vessel brewhouses, a 24-head rotary filler for canning, and 50,000 barrels’ worth of annual fermentation capacity (in addition to their 28,000 barrel output) to start out, as well as extra space to add additional fermentation in the future as needed. This is good, because it means more beer. Over here at Paste, we’re pretty big fans. Community is one of the six pillars that we founded the brewery on, and Athens is our community. We started this process of finding a new home with the intent of staying in Athens. With the help of the city and a bit of luck and vision, we are going to be able to make that dream a reality. 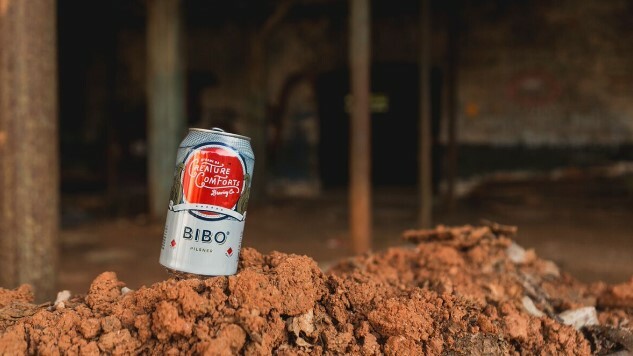 The chance to bring back to life such a historic building in a part of Athens that is prime for revitalization is a remarkable opportunity, and something we are very excited about as a brewery family. The second brewery is expected to open toward the end of 2017. 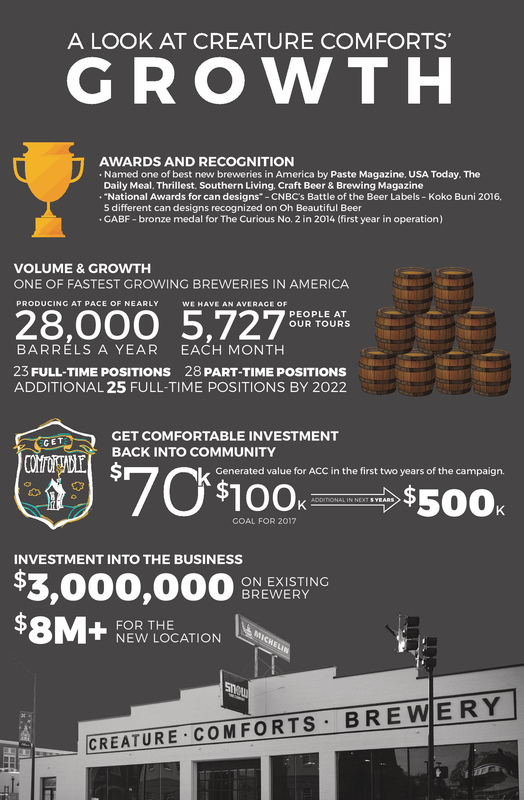 Check out Creature Comforts’ website here for a full list of their craft beers and any additional information, and find an infographic charting the brewery’s growth below.